This recipe is in partnership with Hidden Valley® & Glad®. All opinions are 100% my own. Ham and Cheese Roll Ups are the ultimate party appetizer for any holiday get together. 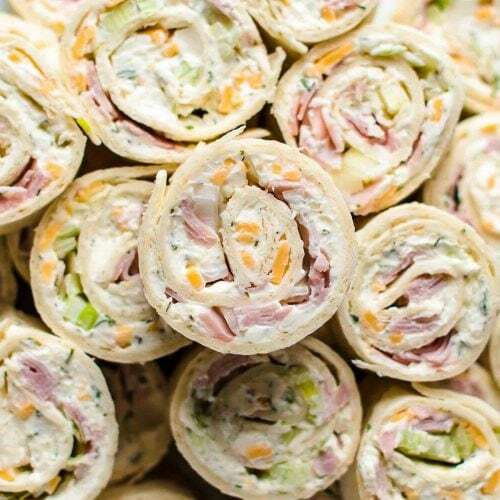 These Tortilla Roll Ups with ham are loaded with ham, cheese, ranch, cream cheese, and green onions. Ham Roll Ups are a must for Christmas appetizers or game day snacking. You better make a double batch! Ham and Cheese Roll ups are an absolute must make for any and every holiday get together. These Ham and Cheese Roll Ups were simply made for celebrations. 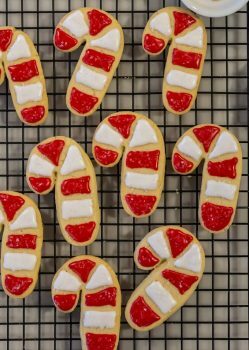 The holidays are the time for EASY recipes. No one wants to be stuck in a kitchen all day before a potluck or party. We don’t have time for all that! There are presents to wrap, Santas to visit (I cannot wait to torture Henry with that this year! 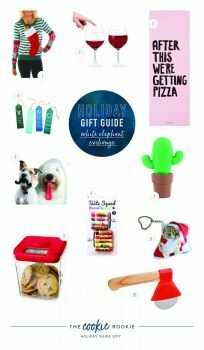 ), Christmas cards to make and mail, and so much more. Cooking should be the least of your worries. That being said, REALLY GOOD FOOD is one of my favorite parts of the holidays and also a must. 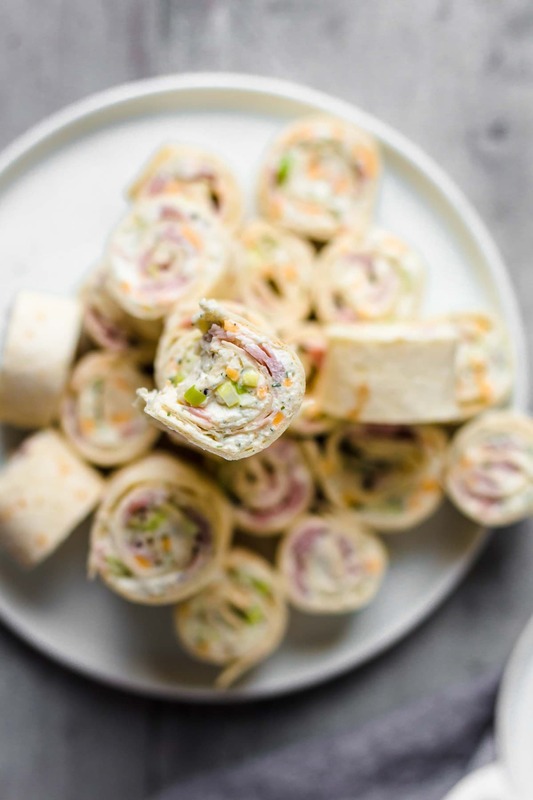 So the solution is to that is simple recipes packed full of flavor with none of the fuss, like these easy Tortilla Roll ups with Ham. These Ham and Cheese Roll Ups with Ranch are a staple holiday recipe in our house. It’s one recipe I love to bring to any and every gathering this season. Christmas Eve appetizers party? CHECK! 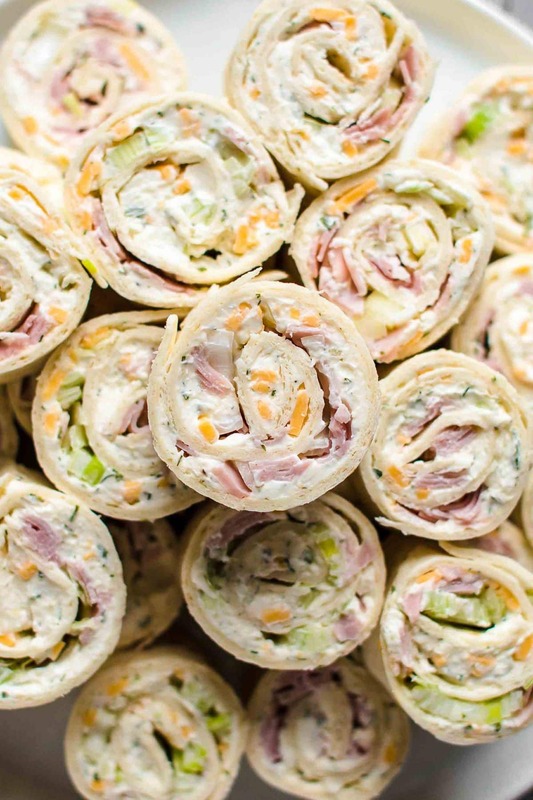 Basically, just bring these ham & cheese roll ups for any occasion! Ham and Cheese Roll ups are an easy appetizer to bring to any party. 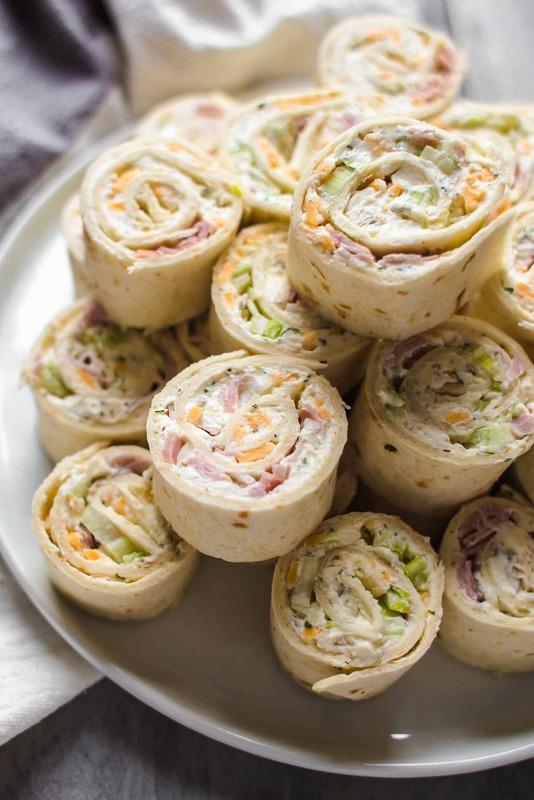 Learn how to make these tasty Tortilla Roll ups with ham right now! Tortilla roll ups are a simple go-to appetizer recipe. I love how easy it is to switch things up and make all kinds of tortilla roll ups using different ingredients. With just a few ingredients and a few minutes, you’ll have something super tasty ready to go. See the recipe card below for full instructions on how to make tortilla roll ups with ham. Ham and Cheese Roll ups are easy to make, and even easier with the help of my favorite products! The key to this easy Christmas recipe are two of my favorite products, Glad® Press’n Seal® and Hidden Valley® Original Ranch® Seasoning Mix! The Press’n Seal makes sure the prep surface is super easy to clean up while the Ranch Seasoning Mix makes sure the recipe is utterly full of flavor without slaving away. These are my kinds of products, especially in this season. I’ve always loved simplicity, but having a 9 month old in the house makes me even more desperate for little hacks. You can find both products at Walmart, which makes things just another step in the easy direction. Everything in one place…works for me! Ham and Cheese Roll ups are even better with Ranch! I love the flavor of these Ham and Cheese Roll Ups with Ranch. It’s so simple and delicious! 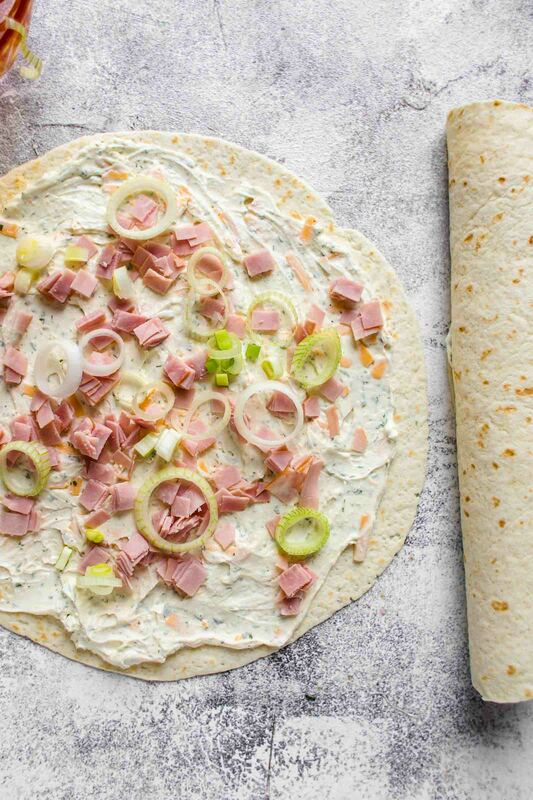 Is there anything tastier than a ham and cheese tortilla roll up? YES! Add in ranch and cream cheese and WOW. Now you’ve got an appetizer recipe that will stand the test of time. I love to use ranch dressing in recipes, especially appetizers. Besides this tortilla roll ups recipe, some of my favorite recipes using ranch dressing are Ranch Dip Biscuits and 3 Cheese Bacon Ranch Fries. Tortilla Roll Ups have been a favorite recipe around holiday tables and at tailgates for years and years. This Ham and Cheese Roll Up Recipe with Ranch is the perfect easy and delicious flavor combination that your family will request again and again. These are so crave-worthy and fun! It’s a big perk that they’re made from start to finish in under 20 minutes. Heaven! If these flavors aren’t quite your favorite, hop over and check out our Jalapeno Popper Tortilla Roll Ups instead! See the recipe card below for full details on How to Make Ham and Cheese Roll Ups. Enjoy! In a medium bowl, mix together the cream cheese, ranch mix, and shredded cheese. Sprinkle each tortilla with ham, and onion. 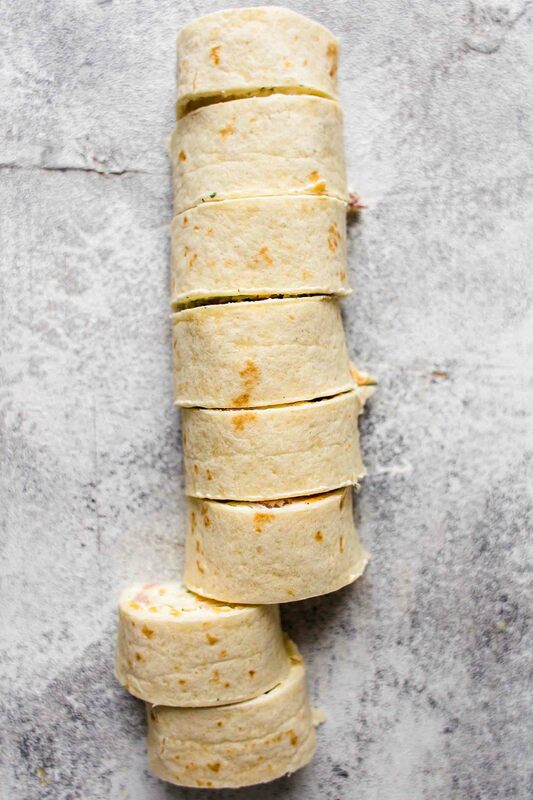 Roll each tortilla tight to make sure the cream cheese binds the tortilla together. what size cream cheese for the roll ups? Thanks! I’m the recipe for a party and don’t think I’ll need all five tortillas. Can I freeze the uncut tortillas for another party coming up next week? What size tortilla wraps are used? This recipe makes an appetizer that is colorful, delicious and easy to make. How far in advance can these be made so that they don’t get soggy? I’d say 24 hours. Hope you love the recipe!